Multi-billionaire investor George Soros is pouring money into the race for the White House, particularly supporting Hillary Clinton, saying he’s alarmed by the rise of Donald Trump. Having shattered political spending records in 2004, donating a whopping $27 million in an attempt to oust then-president George W Bush, Soros is now returning to form when it comes to political donations to try and stop the return of a Republican to the White House. “There should be consequences for the outrageous statements and proposals that we've regularly heard from candidates Trump and Cruz,” said Soros, Bloomberg reported. He has committed over $13 million this year to Democrats, with the single biggest contribution being $7 million to Priorities USA, the main super-PAC behind Clinton. He donated $6 million to the same group in December. 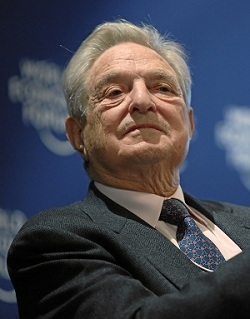 Although Soros’ donations this election cycle have already surpassed those he made during the 2008 and 2012 campaigns, there is no single reason for the increase in spending, the billionaire’s spokesman, Michael Vachon, said. "His support of Clinton is one reason. The tone of the other candidates is the other," Vachon said. Soros, who is worth about $24 billion, has also donated up to $6 million to the Clinton Foundation through his Open Society Institute and Soros Foundation over recent years.